> 4.4 Rating, Out of:50/5 Stars. Alirajpur is famous for Jain temples.The Laxmaniji Teerth, houses the idol of Padma Prabhu Swami as its main deity. Another temple worth seeing is the Shri Laksamani Teerth located some 8 kilometers from the main headquarter town. This 2000-year old temple sports a large main hall, with 140 colorful and artistic stone archives hidden away in the inner halls. The temple’s main deity is Shri Padmaprabh Bhagvan, in a white stone idol in the padmasana posture. Alirajpur State was formerly a princely state of India, under the Bhopawar Agency in Central India. It lies in theMalwa region of Madhya Pradesh, near the border with Gujarat and Maharashtra. It has an area of 836 m². The country is hilly, and many of the inhabitants are aboriginal Bhils. It has from time to time been under British administration. The chiefs of the tribes, whose title was Rana, were generally Rathore Rajputs. The Victoria bridge at Alirajpur was built to commemorate the Diamond Jubilee of 1897. Alirajpur is a city in which public depend on farm. Its economy depends primarily on agricultural endeavours, especially farming, especially mangoes. The agricultural trading yard in Alirajpur is the biggest in all the state when it comes to mango trading. Also, the "Noor Jahan" a very rare variety of mango of which only four trees are currently surviving, can only be found in the district, specifically in the town of Katthiwara. Alirajpur Tourism - Get all information on Alirajpur tourist places and sightseeing tours. Our website helps you plan your next tour and gives you great ideas on what to do, where to eat, where to stay and when to go there. We give the best information from the web to give you precise, meaningful and useful travel guide for leading places to visit in India and from across the world. Our travel information on Ali Rajpur tourist places, tourist attractions, major sightseeing, the best time to visit, the top places to visit in Alirajpur, the must-see things to see and do, maps, restaurants, hotels, nearby tourist destinations, local public information and more. 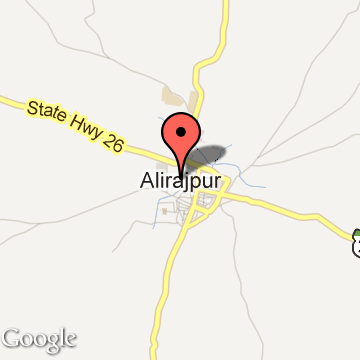 To start with check out information on how to reach Alirajpur.